Isn't cross-cultural cooperation a bit like cross-cultural marriage? I've been thinking about this issue for a long time. As you may already know, I am Russian (partly Ukrainian) and I have a Western/American mentality to some extent due to the years spent among American and European missionaries. Well, in 1998 I met a man in my church who always looked at me as if I was his worst enemy. 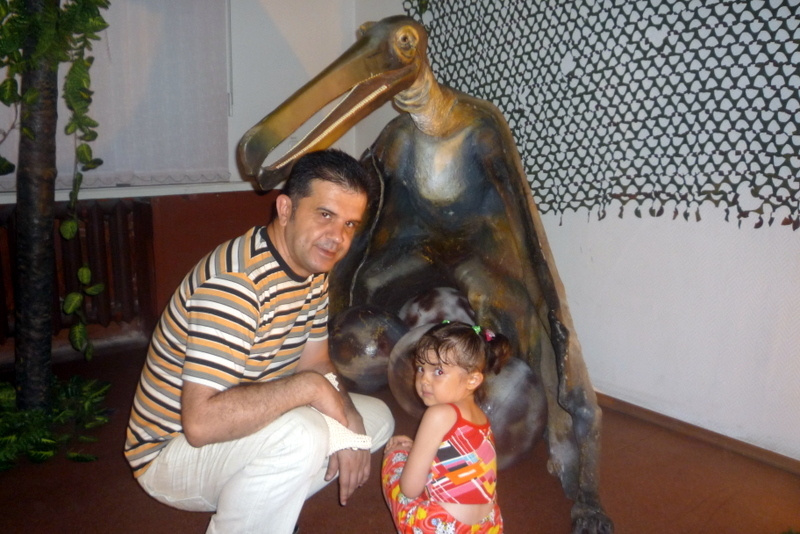 I was even a little bit afraid of him. After some time we kind of started communicating since he became a student in our Bible College and I was interpreting there. That's when I found out that he was just a very shy person and that I totally misinterpreted his look. And I loved his accent :) We got married in 2001. 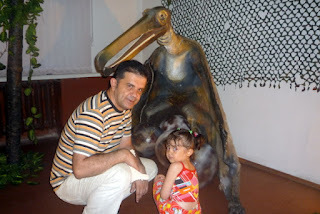 That's my husband Albert and our daughter Delia (the picture was taken a couple years ago at a dinosaur exhibition). He has a very characteristic Eastern mentality. In his family everybody is really close to one another, they have a clear family hierarchy and their understanding of what each of the spouses' role in the family is, how a husband and a wife should look like, what they should wear, how they should treat each other etc. He's assimilating slowly and accepting some traits of the Russian mentality. On the other hand, I am also slowly absorbing the Eastern mentality and my behavior changed a lot because I don't want my husband to ever feel embarrassed or uneasy. That's the work that my husband and I do on the daily basis in order to keep our marriage thriving (ok, maybe that's true for any family, but in cross-cultural families the differences are much sharper). I can't help thinking how amazingly similar those two types of relationships are. In the first case, you do all those things because you love your spouse. As for the cross-cultural cooperation, you do almost the same because you love your work and you place an emphasis on the long-term cooperation. What do you think about it? Comments are welcome! Magda, thanks for the input! These thoughts have been following me everywhere so finally I decided to blog about the topic, maybe it just wanted to appear in public :) But you are right, being too different often drives people apart. That's why marriage is constant work. So is a long lasting cooperation with a client from a different culture. A very good topic! I think our job requires a lot of flexibility and tolerance. I had to learn to be really tolerant when I started tour guiding. I work with tourists and clients for whom I interpret of very different nationalities. Not long ago I interpreted for the vice-ambassador of Israel, and the next day I had clients from Germany. Last summer I had a group of tourists from Turkey one week and the next week I had a tourist from Japan and then a group of tourists from Singapore, and very many tourists from Germany, Switzerland and Austria. All these people are very different, some of them (I mean nationalities) kind of hate each other, and I have to know how to speak to all of them. But slowly I am learning to get rid of prejudices. I can relate, since I live in Israel for more than 20 years (born in Russia), but my wife is a Buryat, and she just came from Russia. She finds sometimes difficult to accept some of the mentalities and attitudes in Israel, and I need constantly to find a way to bridge between understanding her and understanding local attitudes. Hi Mike! Thanks for stopping by and thanks for a valuable comment!